So straight off I’m going to tell you this is not fine dining nor does it pretend to be. We have visited multiple times and have not had a bad meal here. Sheppy’s is Australian owned and this attracts a largely Aussie clientele but we chose to go based on the positive Trip Advisor reviews. The cool towels on arrival are always very appreciated in a hot, humid climate. 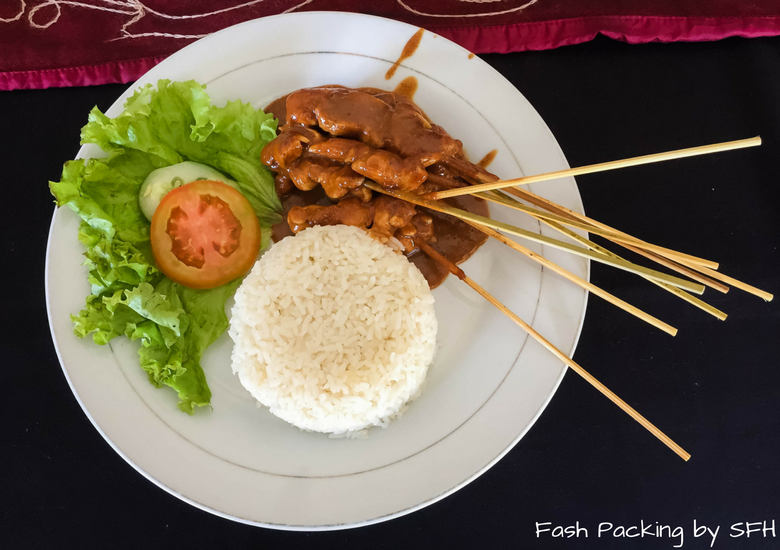 The satay sticks were a substantial serve by Bali standards and came with rice and a little salad. The sauce was richer and heartier (almost gravy like) than you would normally expect and was packed with flavour. The Hubs proclaimed his calamari the second best he has ever eaten. I sneaked a bite (or two!) and it was pretty good. Cooked perfectly tender with a light batter but a bit light on the pepper for my liking. The Hubs went for the Seafood platter on our second visit. 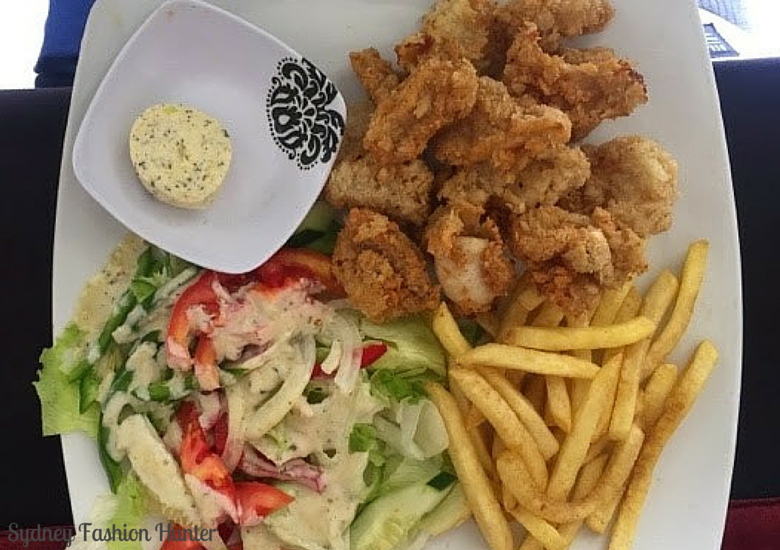 He enjoyed the fish and prawns but the calamari was a little chewy and the sauce was not to his liking. 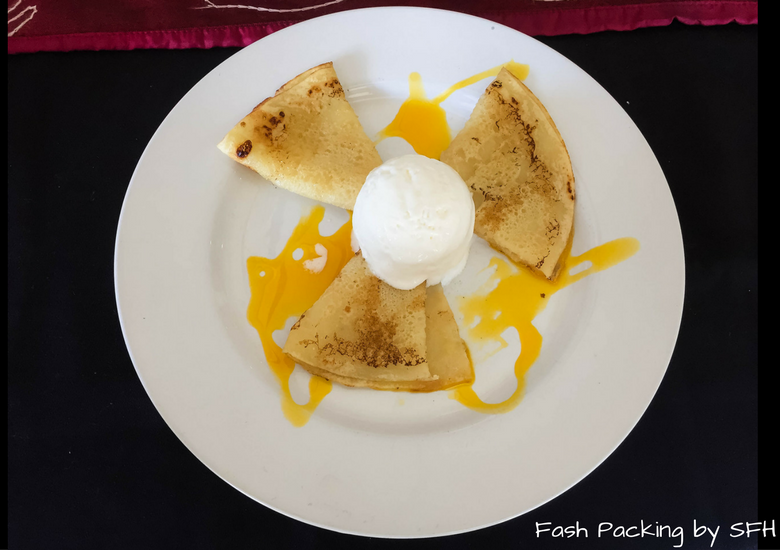 I think I may have found my favourite dessert with these delectable orange crepes. Eating crepes makes my list of 110+ amazing things to do in Bali. Who would have thought this little island would turn out some of the best I have every tried. 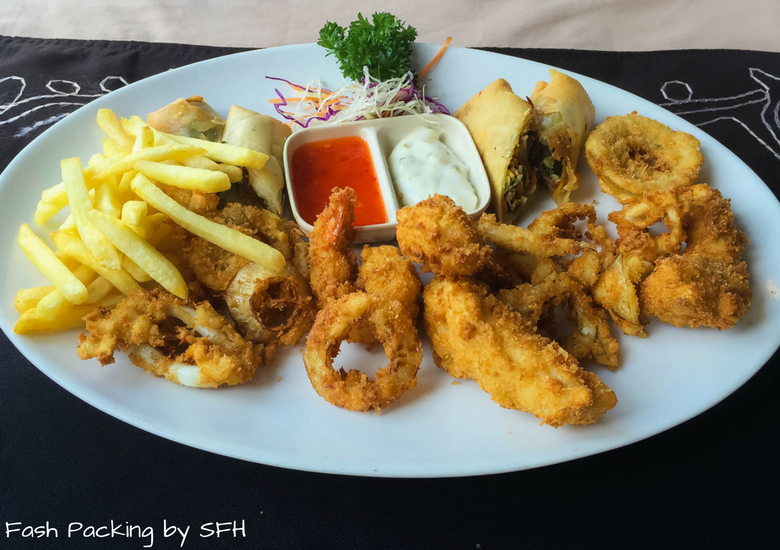 Mixed platter! The onion rings were delish! 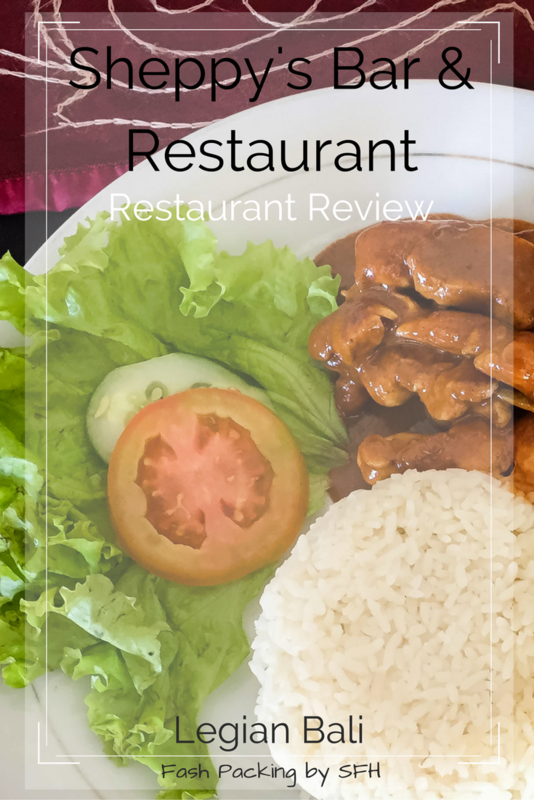 If you liked this you should check out my other Bali restaurant reviews. 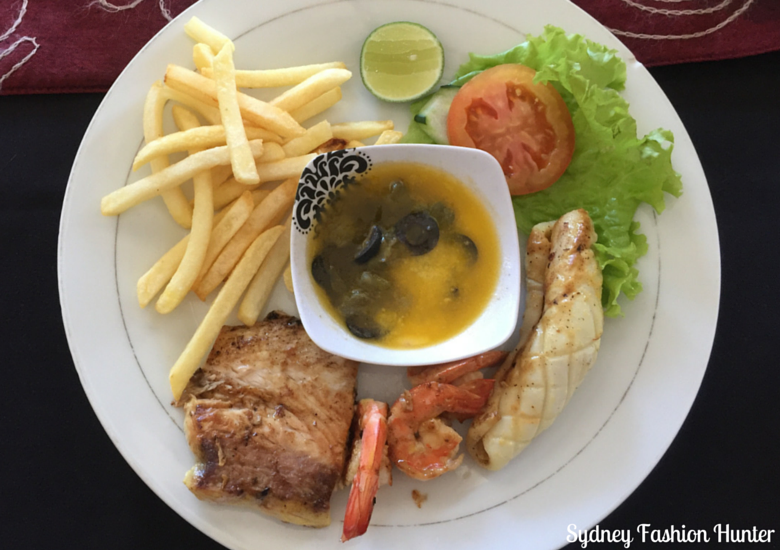 Got any favourite Bali Restaurants? I’d love to hear about them in the comments below. Disclaimer: This post is NOT SPONSORED. I paid for all my meals at Sheppy’s Bar & Restaurant in full and as always all opinions are my own. I’m sure you would love the orange crepes Neha! I know I hate that Cassie! We were so looking forward to it as well!